Audrey Graham, Gail Poublon-Wieland, Andrew Jayne and Elizabeth Beasley. Maplewood had a busy January, with our first Webinar (Bindee Eberle & Julie Winkel), birthday party for Lisa Trujillo, Graduation Party and send-off for Emily Anderson, Breakaway Clinic and Maplewood Awards dinner, celebrating Gail Poublon-Wieland’s birthday at the same time! 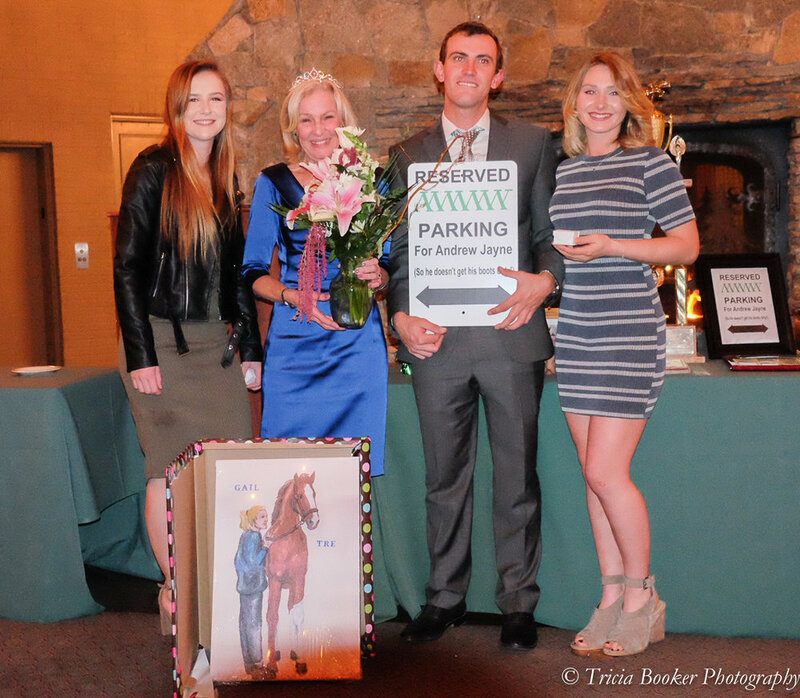 The annual awards dinner was once again held at Toiyabe Golf Club and was beautifully done! The food was great, and the atmosphere and entertainment unparalleled! Dumbass awards went to: John Brown (2) , Elizabeth Beasley (2), Andrew Jayne, Jessica Scott, Georgia Brown, Sadie Baeumler, Chrysann Collatos and Audrey Graham (Smartass Award). Forms and information will be available in the office and online. We also welcome back Sadie Baeumler to our Horse Industry Training Program!